I’ve discovered a bit of a silver lining to the early winter, when winter rolls in and the days get shorter and the nights get colder. That is, because the dark and cold conspire to keep me inside, I’m forced to look elsewhere for evening entertainment and ways to pass the time. While spring and summer is often filled happy hours, patios, and outside activities, I’m not nearly as motivated or willing to leave home on the weekdays after I’ve returned from work. The fall here in Columbus ended in traditional style. Which is to say, schizophrenically. Less than a week ago, the high was 80 degrees. This morning, there was snow. And so it was, as much of the east-coast hunkered down at home, involuntarily sheltering in place, I did the same. But unlike them, it was of my own volition. 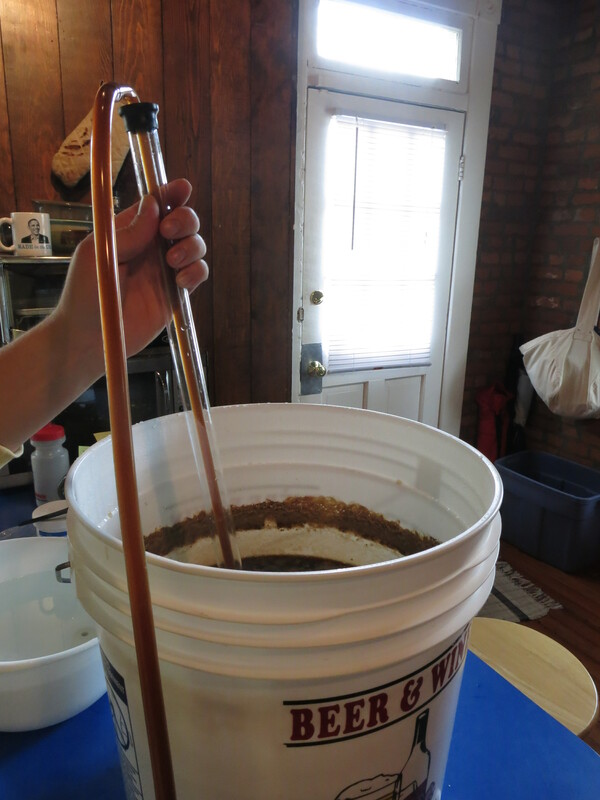 Just last week I began the process of brewing a batch of White House Honey Porter. In writing about that project, I promised that it would ultimately comprise a movement in three parts. The first movement, the brewing itself, was probably the most exciting of the three. Once that step was completed, I largely became a passive spectator. It was up to the yeast to do the heavy lifting from then on. And it took to that task with gusto. Siphoning into the secondary fermenter. 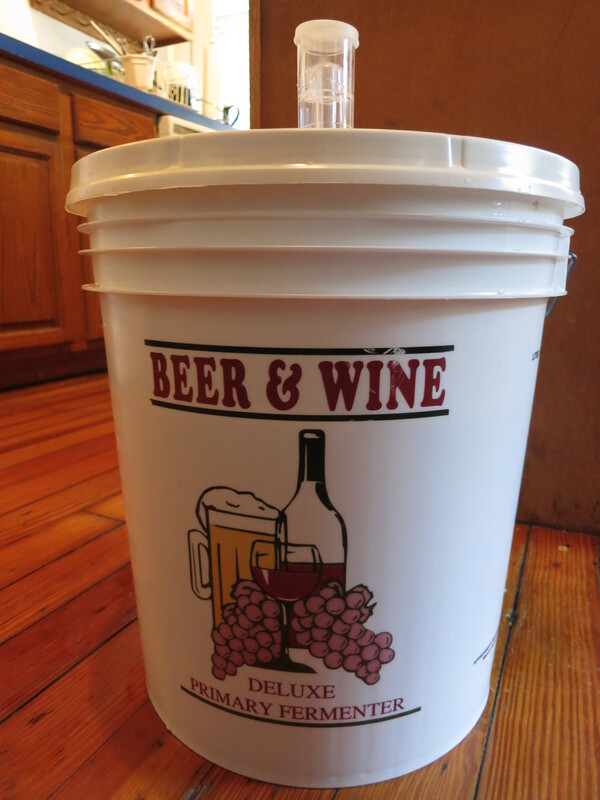 I have found that a secondary fermentation is a crucial step to obtaining a high quality finished product. Sure, you can skip this step and still end up with a fine tasting beverage in the end. But the extra rest in the secondary fermenter helps to take your beer to another level. I love grilling. 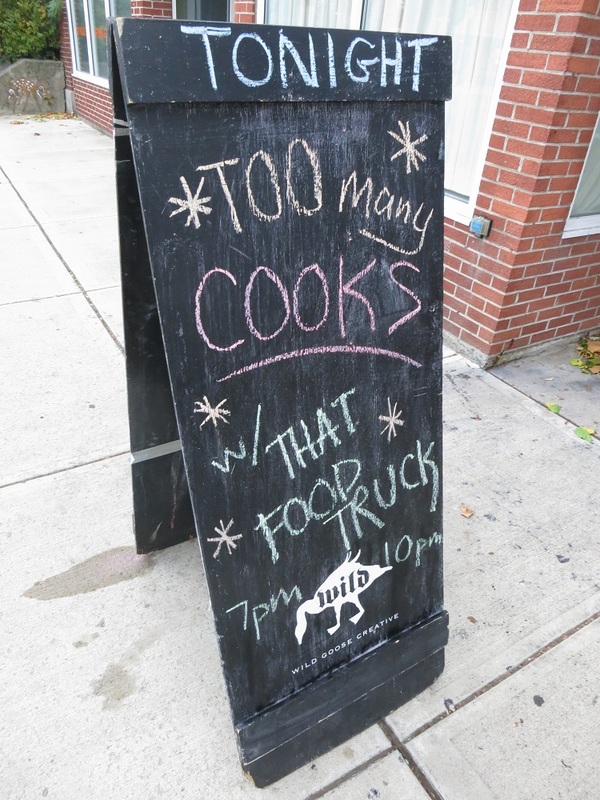 And to be honest, I don’t really care what the weather is; I’m perfectly content to bundle up and stand in a snow drift if it means that the end result is I get to eat something that was cooked over a bed of hot coals. That being said, it’s always more fun to grill when the weather is beautiful. At this point in the fall, you never really know which nice day is going to be your last. One minute it’s a model fall day, sunny and in the mid 60’s. Then, when you’re not even looking, a cold front rolls in and that’s all she wrote for the fall—winter is upon you. The lesson then, is when October presents the opportunity to enjoy perfect grilling weather, you have to seize it. On this past Saturday, I did just that. There was once (and may still be for all I know) a frozen food commercial that proclaimed “when you have pizza on a bagel, you can have pizza any time.” Now, I never understood why the frequency of pizza eating was dependent on it arriving via bagel. And if you ask Tania, there is nothing about pizza in its traditional form that in any way prevents you from eating it whenever you want. One of the reasons you can have pizza any time is that it’s incredibly easy. Of course, the easiest is always ordering delivery, something I admit to doing on a not infrequent basis. But if you’re willing to put in a little bit of effort homemade pizza isn’t all that hard either. It’s even easier, however, if you decide to start with a pre-made crust. And here is where those bagel pizza people might be onto something: pizza crust doesn’t have to be traditional.